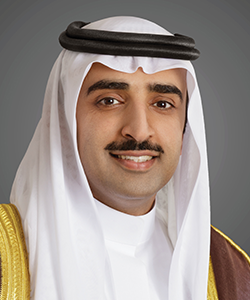 Bahrain is one of the fastest growing economies of the world and in the recent past, it has been a propeller to the global economy into a new competitive environment. In this environment of competition where efficiency and profitability are the key growth indicators, the importance of safety and health at work and protection of environment holds a pivotal area of concern demanding a suitable addressing mechanism. Therefore, it is vital to enhance care of the on-field professionals and maintain safety standards against any category hazards. It is heartening to know that Global HSE is devoted towards promotion and awareness about the HSE policies and technical literacy enabling the HSE industry to compete at global level. It indeed gives me great pleasure to announce the 7th edition of the Global Health Safety and Environment Conference and Exhibition at the Kingdom of Bahrain on 30 September - 3 October 2019. Being host to the 7th edition of the Global HSE Conference and Exhibition, Kingdom of Bahrain offers a platform for the HSE industry stakeholders to share, exchange and deliberate new ideas and innovations, leading to significant strategy formulation for implementation at the workplace. It is a special year for Global HSE Conference and Exhibition as it anticipates participation 1200+ industry delegates, 150 Participating companies, 50+ Countries over 10 industries and 5000+ attendees from all across the globe. I am confident that Global HSE 2019 will witness enriching deliberations and collaborations, Catalyse holistic HSE solutions, while providing rewarding experiences to all participants. I welcome you all to the 7th Edition of world’s leading HSE conference and invite you to participate and contribute your expertise towards a better tomorrow.